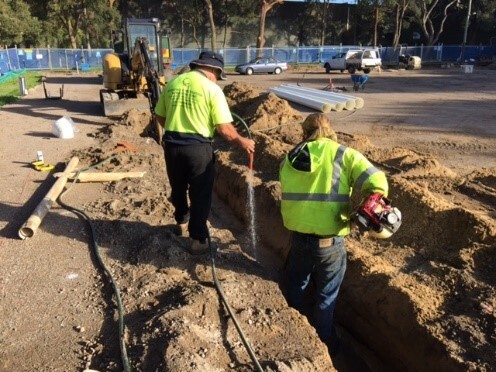 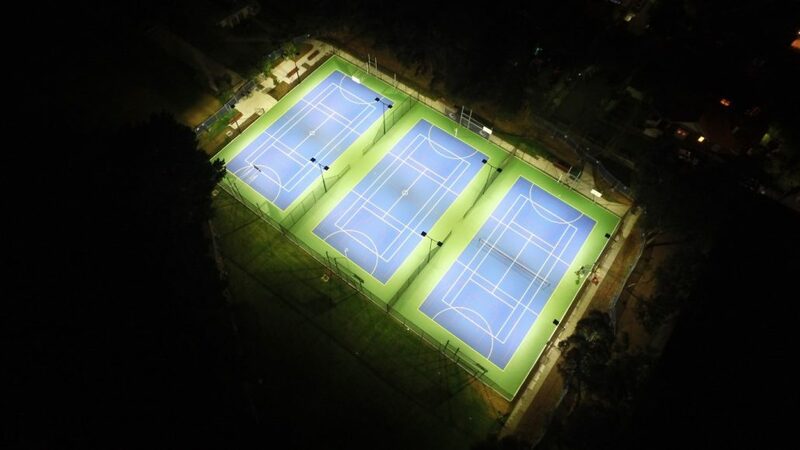 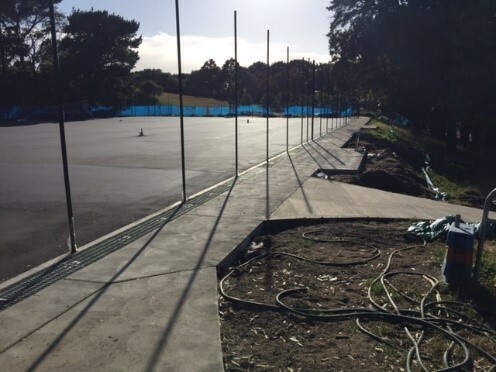 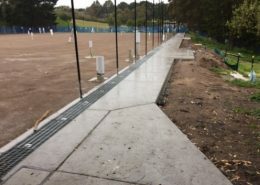 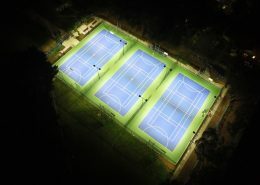 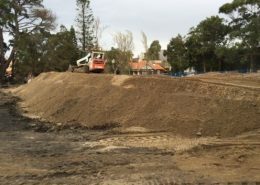 The scope of works included a complete redesign, demolition of existing concrete path and netball court, major earthworks, stormwater system, subbase construction, pavement construction, Plexipave Acrylic Surface, line marking, sports equipment, fencing, LED lights, new access paths, sandstone retaining walls, planting and turfing. 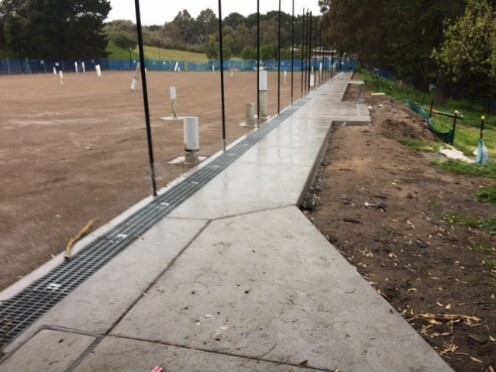 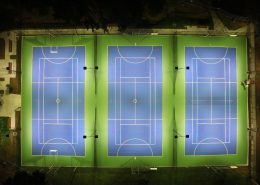 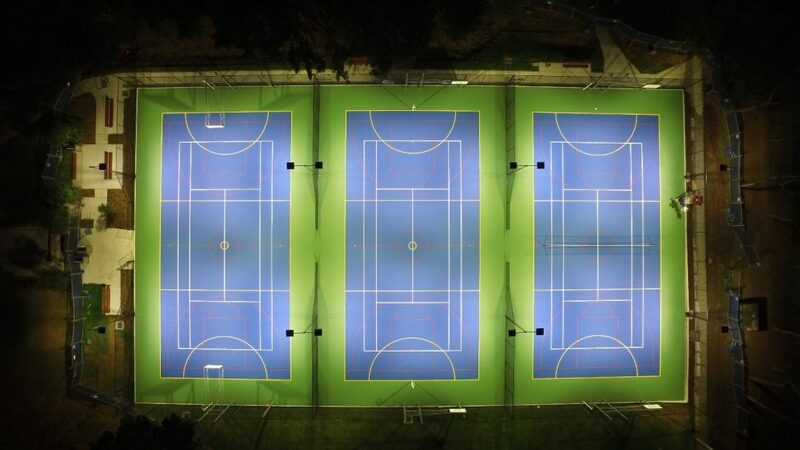 The total area of the project is 70m x 40m of Sports Pavement to +/-3mm with Plexipave and Concrete finishes, LED sports lighting, 1500m2 of shaped turfed areas, sandstone wall and landscaping. Court Craft was contracted based on our alternative tender, which changed the pavement type from Concrete the asphalt and to reuse all materials on site rather than export from the site. 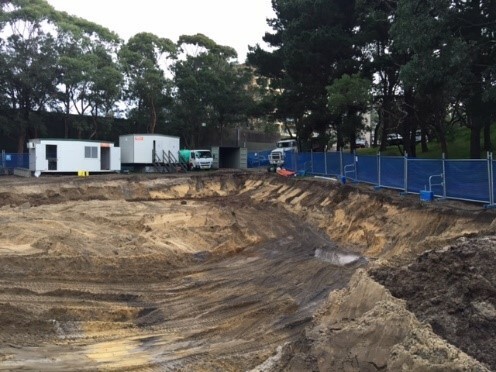 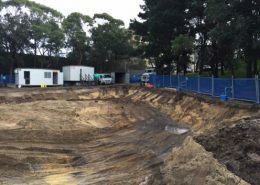 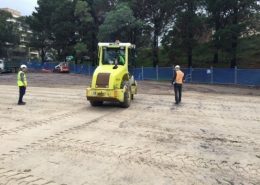 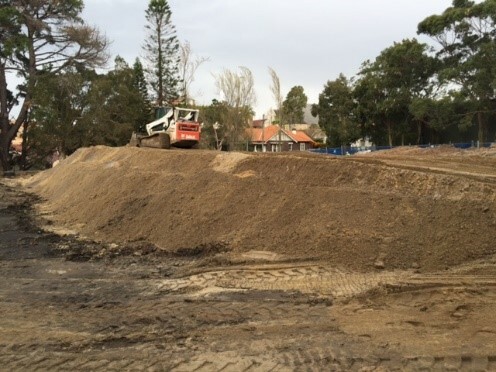 Court Craft tested court area subgrade materials and off court areas for approval for reuse on site, then approx 1000m3 of site won sands were swapped with ENM from the development area.